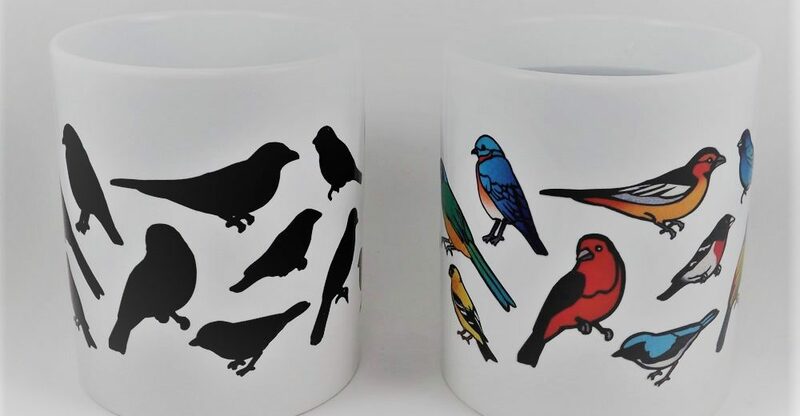 Silhouettes of popular North American wild birds disappear when a hot drink is added to reveal the birds in full color. The newly revamped design of Wild Birds color changing Wondermug is here! A customer favorite & makes a great gift. 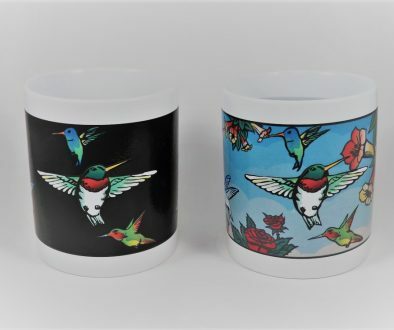 Waitlist For Out of Production Mugs Hummingbirds Color Changing Mug is back!